It could be classified as the week that was given the fact that the Vancouver Whitecaps are searching for points to move up given that they have only two home games remaining in the season. There is no question that they will miss the talent of Alphonso Davies for the next few seasons to come, but none more than they will miss him for the 2019 season. The Whitecaps managed to drop another match in what might be the worse let-down this season to date given the 4-1 final result. Vancouver had five (5) players assigned to International duty, but the 42nd minute saw Kamara jump on a loose ball at the 18 yard-line setting it up for Felipe at the top of the box, bringing the fans to life. The kick was off his left foot that found the bottom left corner which is his first goal as a Vancouver Whitecaps player. The “Cap’s” had two additional chances somewhere around the 30 minute mark, one of which was off the foot of Mezquida who had his shot turned aside by Sporting Kansas City keeper Tim Melia. The second chance was one from Brek Shea on the right side who sent a header wide of the net, having the home side pondering what they had to do for a goal? Sporting KC got the tying marker after Besler sent a cross pass to Yohan Croizet tying the match in the 62nd minute of the match. Adding to the one saw Sporting KC grab a second after Shelton fought for possession inside the box leaving a loose ball for Sallói. 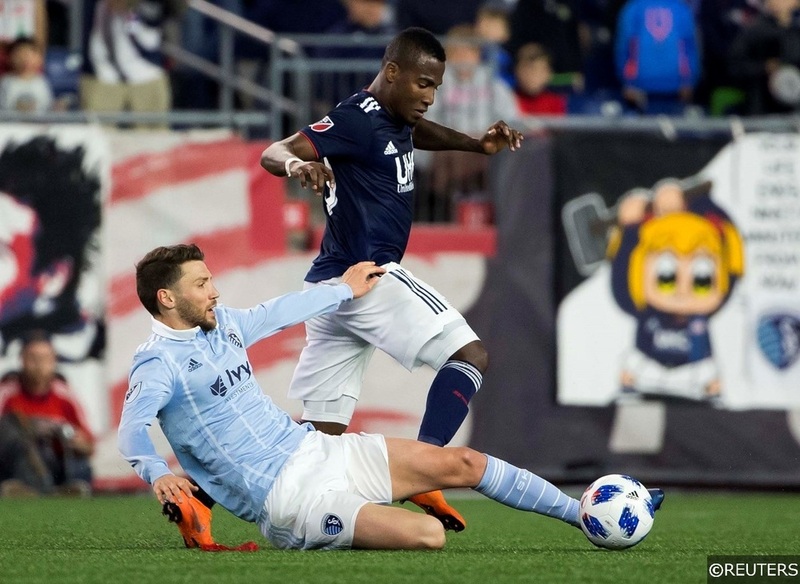 With time working against the Whitecaps if something was to go wrong it did as Sporting KC’s Gianluca Busio and Sallói added another pair of goals in added time for Sporting KC for the 4-1 final. As the game came to a close Whitecaps Kei Kamara was dealt a Red Card that will keep him out of the match against LAFC Sunday October 21st. The Whitecaps have one home game remaining October 28th at BC Place in what is a must win game should they wish to compete in postseason play. As per the normal interview set up the end of the match saw Coach Craig Dalrymple talk with the media showing signs of frustrating, which also resonated among the players as well. Whitecaps “Keeper” Stefan Marinovic made saves, while Sporting KC “keeper” Tim Melia finished with 2 through 90 plus minutes of play. The Whitecaps have one home game remaining on October 28th at 1:30 pm at BC Place, so make plans and cheer on the home team. 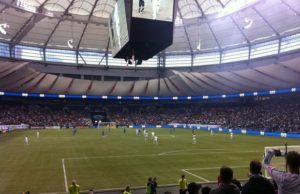 Next Story → Whitecaps – Who Returns?